Franklin India Mutual Fund lent investors’ money, who had invested into their debt schemes, to Anil Ambani group by taking the promoters’ listed shares as collateral. The fund had lent more than Rs1,000 crore to the group, as per data provided by the fund’s press release, through five of its debt schemes. Since mutual funds cannot lend money outright to promoters against their pledge of shares as finance companies or banks can, Reliance and Templeton created a fig leaf of investing in debentures issued by ADAG companies against which promoters shares were pledged. The four debt schemes holding the group’s debt papers have reduced their exposure in the scheme now. The fund house liquidated the lien marked fixed-deposit to reduce its outstanding exposure. It still a remaining exposure of Rs872 crore in debentures of Reliance ADAG, as per the fund houses’ latest press release. The mutual fund (MF) had lent to Reliance ADAG through debentures, which are secured by way of pledge over shares of Reliance ADAG’s listed companies – Reliance Capital, Reliance Infrastructure, Reliance Home Finance and Reliance Power Limited of Reliance ADAG. There was also a loan provided, which was backed by a fixed deposit (provided as top-up cash collateral) which Franklin MF recently liquidated to reduce its exposure. While the reason behind Franklin MF’s decision to reduce its exposure is the financial turmoil in Reliance ADAG companies, starting with the filed bankruptcy of Reliance Communications, the deal raises a crucial question. Is it the job of mutual funds to fund promoters and provide what looks like an intercorporate loan under the garb of investing in rated securities? As a domino effect of the bankruptcy news, shares of Reliance ADAG’s other listed firms, which Franklin MF holds as collateral for the loan, have declined 40% to 60% year-to-date. This sharp decline in the share price of these companies panicked mutual fund companies who have collateralised these shares against the debentures held by them. MFs lending against securities has recently become widespread and common. Fund houses enter into private transactions with promoters of companies, and become victims whenever the pledged shares decline drastically in value. The exposure of MFs to such risky loans has risked investors’ money invested in MFs. Following sharp declines in share price below the margin required for such type of loans, the creditor i.e. the fund house in this case, should ideally ask the borrower to fill in additional capital or shares for maintaining adequate margin, or simply sell off the shares in the open market to recover the outstanding loans. 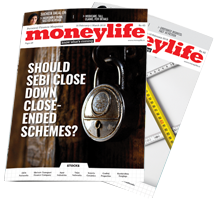 When they have not been able to do so, such as the recent case involving Essel group promoter Subash Chandra, fund houses allowed moratorium of a few months to the promoter, instead of selling the shares to recover the loan. Like Zee promoter, he should have approached to lenders and convince them not to sell the shares by showing them \"intrinsic\" value of his businesses by adding some sweetner to a deal. Then MFs would have convinced SEBI that they are protecting interest of small investors (debt and equity) and again SEBI would have had no option to remain silent on it. win win for everyone. Fraud is happening left and right. companies AMCs banks etc. can\'t trust anyone. FT Asset Management India seems to be involved in financial irregularities. They have been holding my redeemed money over last 5-months. There seems be smaller frauds happening within FT. I had wrote to their Grievance Redressal cell but no help until now. Sooner or later their frauds will be public. The Govt has to address the issue of pledging the shares by promoters for India INC as a whole . This is a huge pain for promoters & destruction of wealth for investors too ( retail, hni & institutional investors ) which has a spiralling impact on lots of other stocks also. When wud we see a Swatchh India INC ? We are at times focusing too much on problems but we don't have real solutions to messed up situation. The entire financial system is shaken up just because there is sudden need to leverage or panic leading to the bleeding of investors very badly. When will we come out of such financial crisis ? Trust factor is missing amongst most investors n before the future gets destroyed somebody sud take control of the situation greater then the problems come up every week on week. Just old boys club in action. No respect for laws or regulators or govt. Why do these even exists? Absolute criminality by Franklin. Their operating licence in India should be suspended. Their track record in managing Debt Funds is very poor. Lot of transparency need to be introduced for mutual funds, mutual funds have started acting in autocratic style and think investors money is free to risk. Complex financial products, lax audit , poor corporate governance, greed to move at fast pace by promotors, failure of credit agencies are major reasons of current crisis we are facing. IL&FS crisis raised cost of funding across and all valnarable business have gone bust. SEBI shouls be dissolved as it has proved a total failure, corrupt organization. Actions are delayed by an year, honest firms face loss of market capital, guilty go unounished for long. Really pathatic situation if affairs. 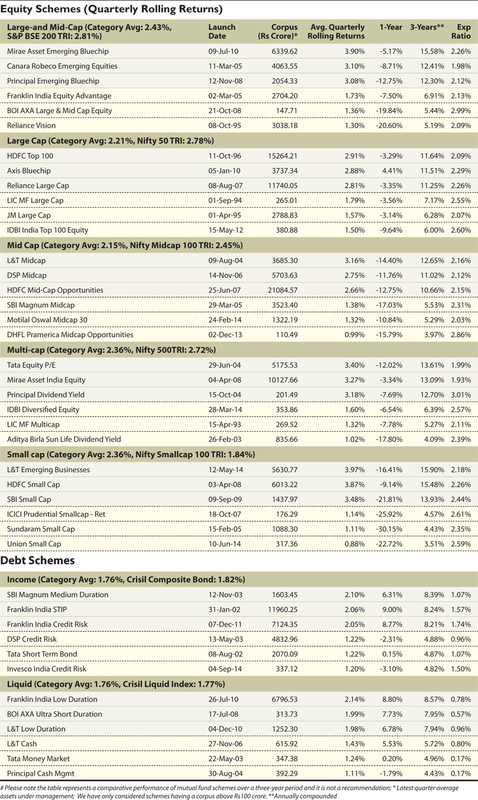 ICICI Prudential Retirement Fund: Should You Invest? ICICI Prudential Mutual Fund has launched its retirement scheme, in four variants, for every type of investor. 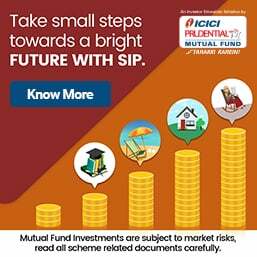 ICICI Prudential Retirement Fund is an open-ended retirement solutions-oriented scheme with a lock-in period of five years or retirement age, whichever is earlier.